Authentic Crew Gear Script Binder - Built tough to handle extensive use. 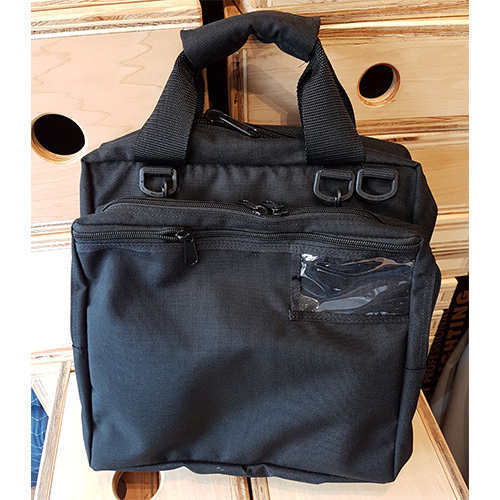 (Interior) Removable binder, 3 open interior pockets, padded handle, shoulder strap, large zippered pocket, 5 elastic pen loops, clear zippered pouch, and 2 large full width pockets. (Exterior) Large 8.5" x 11" clear pouch on rear of binder with cordura flap for weather protection. Detachable front pouch with 2 large zippered pockets and ID slot.